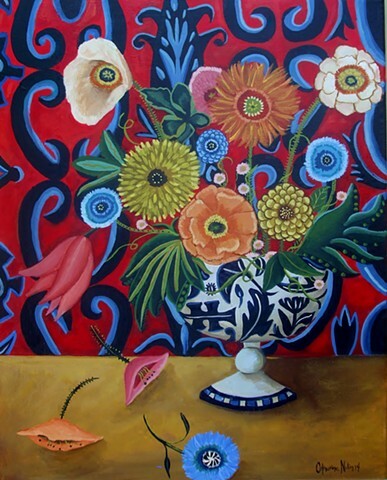 SOLD "Flowers For Gracie" was completed on July 25th. It's painted with acrylics on gallery wrapped stretched canvas. 16x20 inches. The sides are painted so it doesn't have to be framed. I loved painting these vivid hues! It looks great in my dinning room adding a pop of color!